If you require reliable, high quality cleaning of carpets, rugs, upholstery furnishings or curtains, you have chosen well at Redhill Carpet Cleaning. 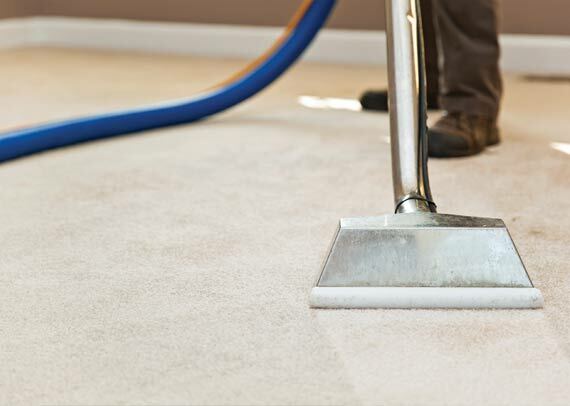 Whether you need rugs or sofas cleaning at home, carpets smartening up at work or furnishings restored to high hygienic standards at the end of a tenancy agreement, you’ll find our carpet cleaners in Redhill hard to beat. It’s not easy finding someone trustworthy to clean your precious fabric items, and you should never have to settle for anything but the very best standards of cleaning care. At Redhill Carpet Cleaning, we deliver exceptional and dependable cleaning for every customer, no matter how many items they need cleaning, the style or the value of the item. From start to finish, you’ll be impressed by our services and the friendliness and politeness of our team of technicians. All of our staff are fully trained for the job and come with bags of experience, so you can feel completely reassured that your carpet, rug, curtains or upholstery item is getting the best treatment possible. To achieve such outstanding cleaning results, we only use market-leading technology and processes, and the products we use to remove stains, odours, dirt, grime and even dust mites are highly effective yet free from harmful chemicals. The products we use are so effective at cleaning that we can remove 99.9% of contaminants. At Redhill Carpet Cleaning, we raise the bar when it comes to cleaning standards, and we always inspect your item prior to cleaning to fully understand what it is made from and how it will fare during the cleaning process. We don’t adopt a one-size-fits-all policy, but instead tailor cleaning to suit your particular item, so that it gets the right and appropriate cleaning treatment it demands. Our fully insured carpet cleaning Redhill experts are happy to go the extra mile to deliver outstanding results, and for this reason we can deliver a 100% satisfaction guarantee. When you are reacquainted with your carpet, rug, sofa, chair or curtains following our cleaning regime, you’ll instantly notice how the colours and patterns appear more vivid, how much fresher the item smells and how its texture is revitalised. We are proud to have gained an award-winning reputation at our carpet cleaning Redhill business, and it’s because we offer the complete package that customers regard our services so highly. With daily opening hours from early until late, we offer great convenience, but we also endeavour to make the cleaning process as easy and free from stress as possible. For instance, if you need your carpet cleaning, we’ll happily move any furniture for you, and if your curtains need a detox, you can rely on us to take them down and hang them up again. Our cleaning services are also speedy yet efficient, and by utilising the best equipment in the industry, we can get items cleaned and dried in record time, so you can enjoy using them again. See how impressive our affordable cleaning results are for yourself. Call now. © 2018 Redhill Carpet Cleaning.